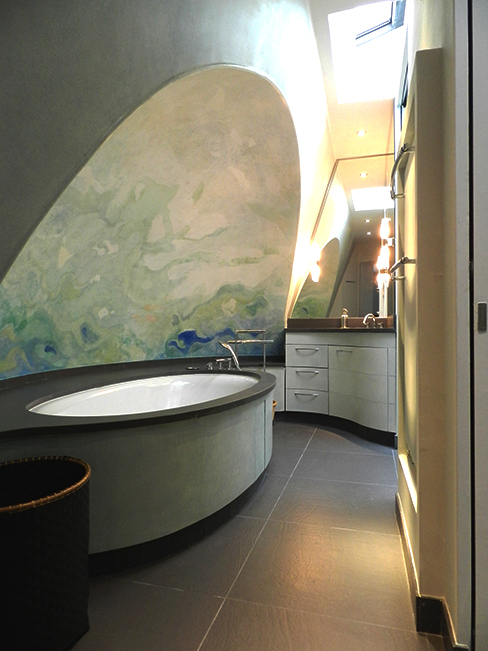 Gardens in Paris: add green sp.. 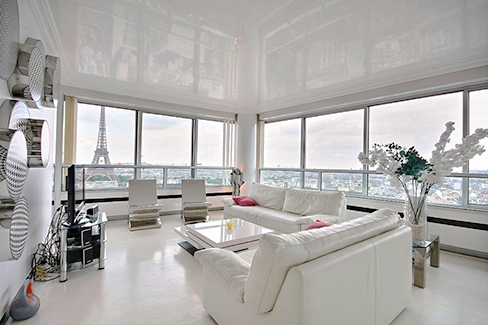 Luxury apartments in Paris: en..
Where is the best place to marvel at everything Parisian? An urban landscape with ebony roofs that highlights our two great Dames: the straight boulevards composed by Haussmann that meet at the Arc de Triomphe, and the meandering River Seine as it flows around islands and lets barges cruise gently by. 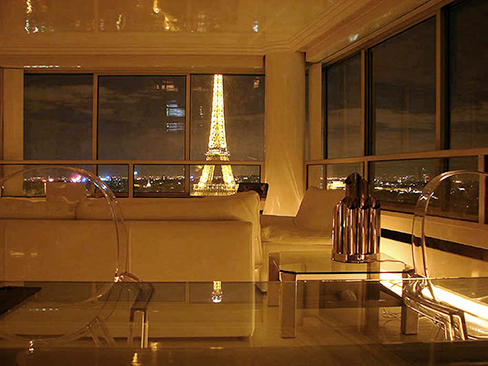 Where is the best place for the most beautiful views of Paris at night? At home, with a glass of wine! 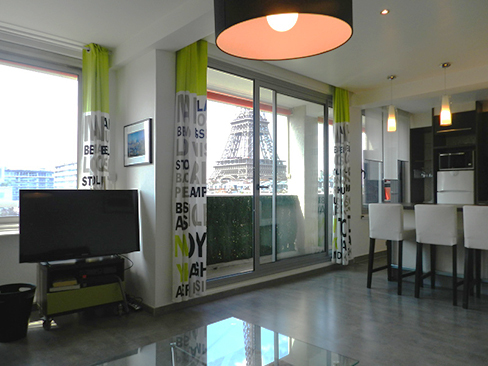 Paris Attitude offers you a place where you can revel in your favorite city. 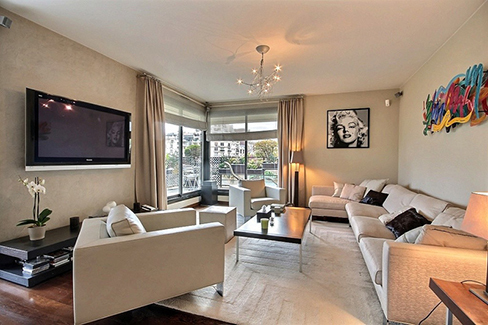 Here are our top ten apartments with the best views. 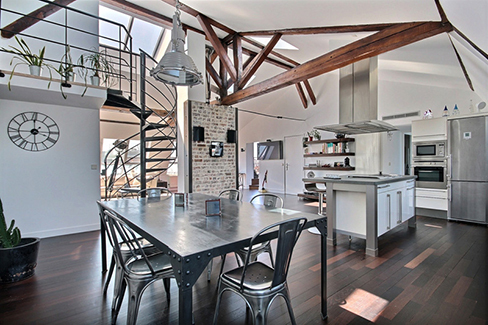 With its 50 m², this little studio is full of an authentic charming French spirit. 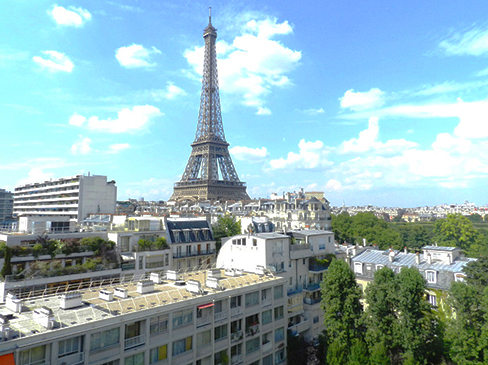 If you want to wake up with the Eiffel Tower, our favorite place to do so is located on avenue de Suffren in the 15th arrondissement, on the 8th French floor of a 20th-century building. A perfect romantic getaway! 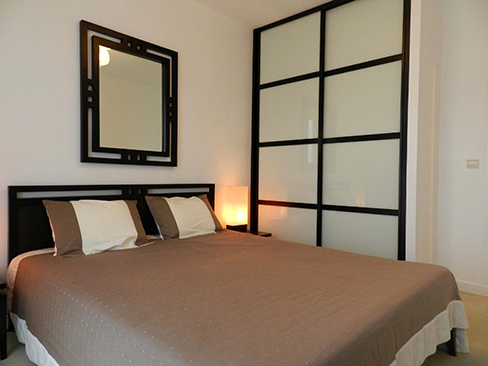 Double size, on the 7th floor is a stunning 110 square meters with two bedrooms. 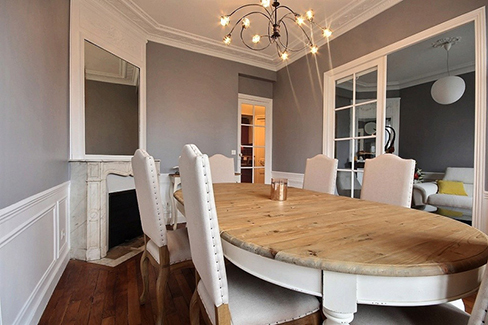 This apartment sleeps 3 people and is located on avenue du President Kennedy in the 16th arrondissement, on the 7th French floor of a 19th-century building. 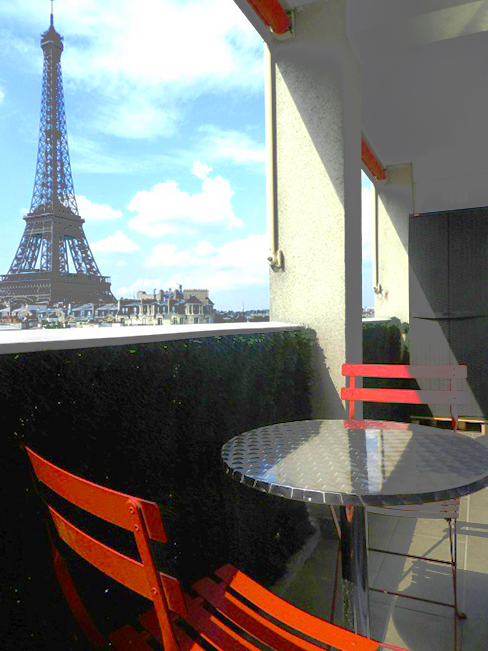 Eiffel Tower and Champ de Mars, the perfect place to wake up every morning. 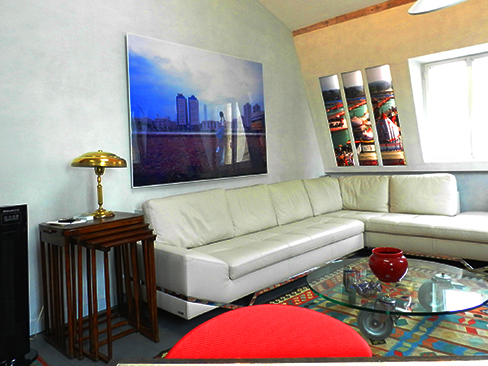 If you are looking for a high standing apartment, this 125 square meters is the best you could dream of. 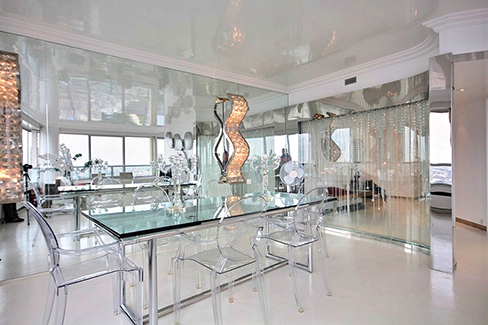 28th floor, 3 bedrooms, and in a 20th-century building, 6 people can sleep there. 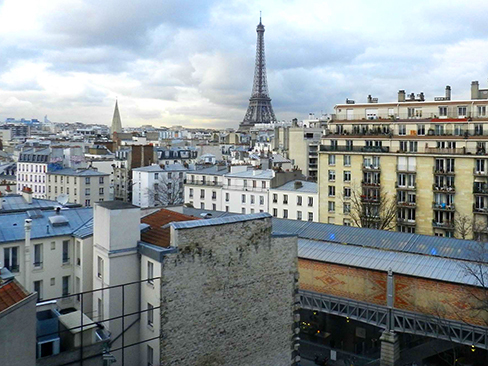 You won’t be able to enjoy the charming Paris in a better way. 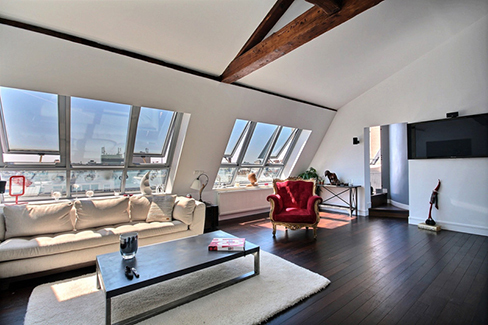 On the 5th French floor of a 19th-century building, this apartment fits for 5 people. 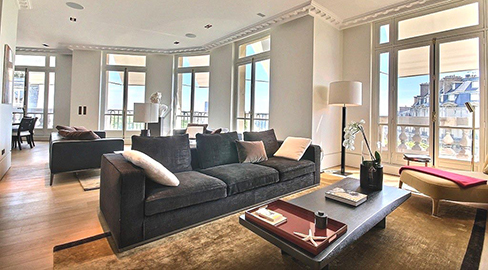 This luxurious and impressive 240 square meters, has 4 bedrooms and is located on Place des Etats-Unis in the 16th arrondissement. 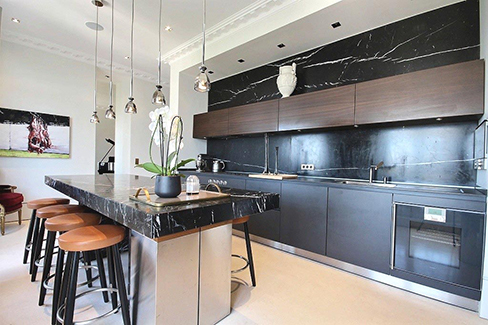 If you want to discover impressive apartment, this large 165 square meters -200 square meters ground sizes, has 3 bedrooms and it can host up to 6 people. 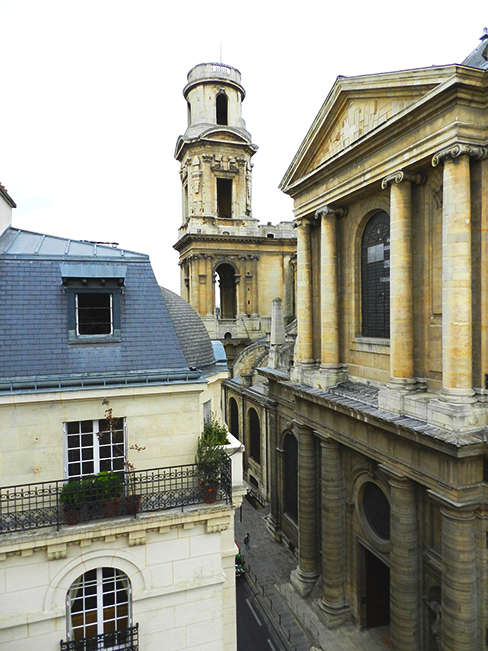 It is located on boulevard Richard Lenoir in the 11th arrondissement. 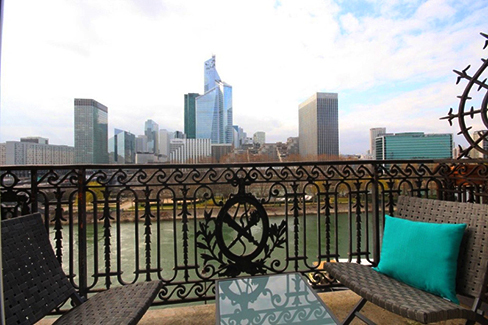 You will admire a stunning view from a balcony on the 7th floor of a 20th-century building. 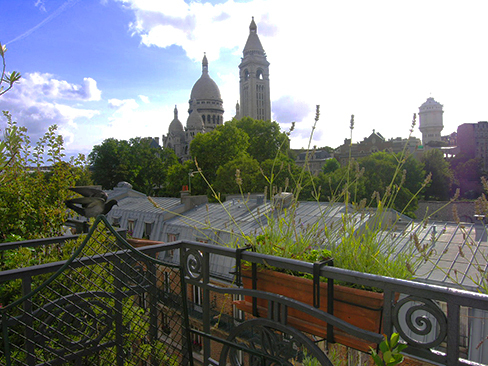 View on Montmartre from this great 90m² apartment. 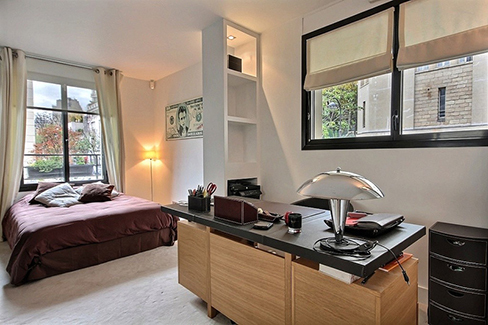 This delightful 2-bedroom is designed for 6 people. 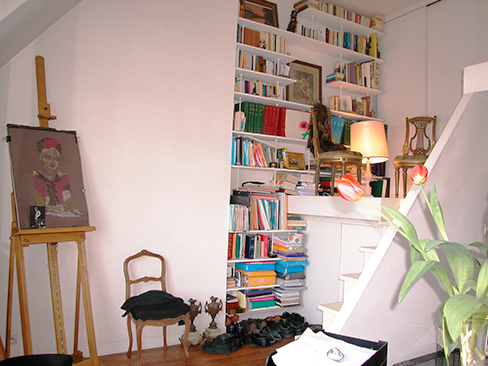 The apartment is located on rue Lamarck in the 18th arrondissement, on the 8 th French floor of a 19th-century building. 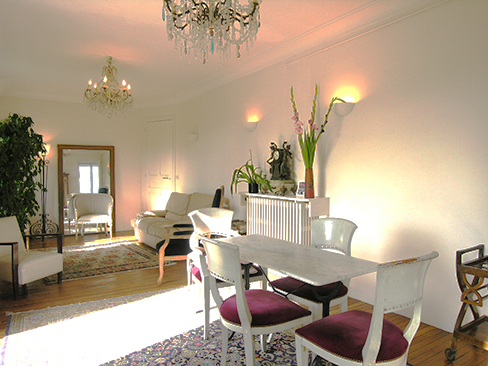 This tastefully decorated 90-meter square is very well situated and can fit for 4 people. 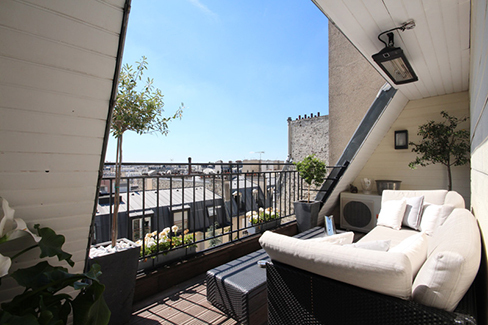 Right in the heart of Paris, it has 2 Bedroom, and is located on rue Palatine in the 6th arrondissement, on the 7th French floor of a 18th-century building. 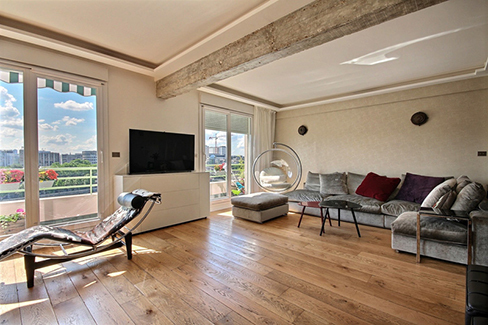 This elegant and luminous 51 square meters offers you a view right upon, the Seine. 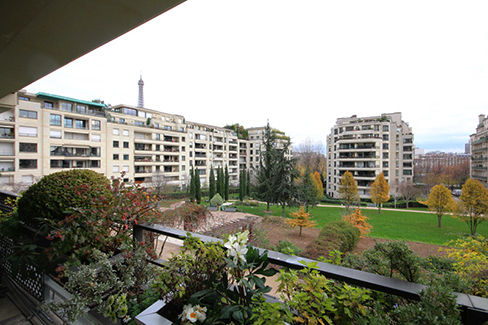 A 1 bedroom, this apartment is located on Boulevard du General Leclerc in Neuilly-sur-Seine, on the 6th floor of a 19th-century building. It hosts 2 people. 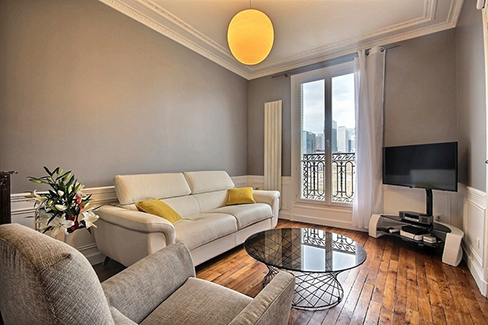 This tastefully decorated apartment in Passy has 3 bedrooms, and is located on avenue Marcel Proust in the 16th arrondissement. Even on the first floor, you will enjoy a great view from a trendy balcony. It sleeps 6 people on a 20th-century building. 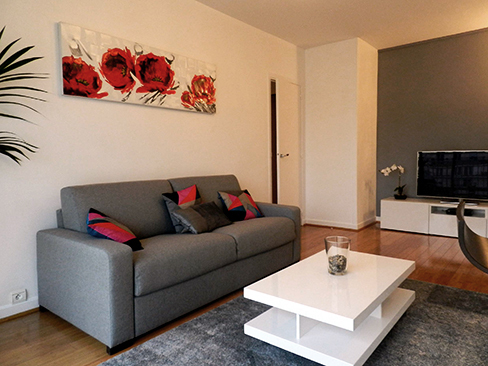 This tastefully decorated 45 square meters, 1 Bedroom sleeps 2 to 4 people. 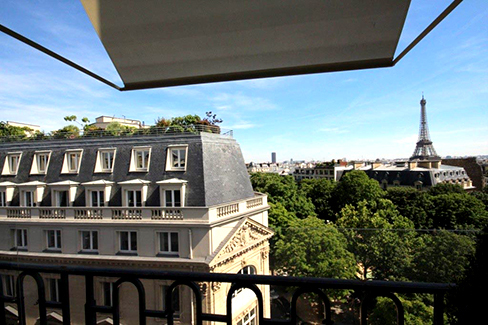 This apartment is located on boulevard de Grenelle in the 15th arrondissement, on the 9th floor of a 20th-century building.